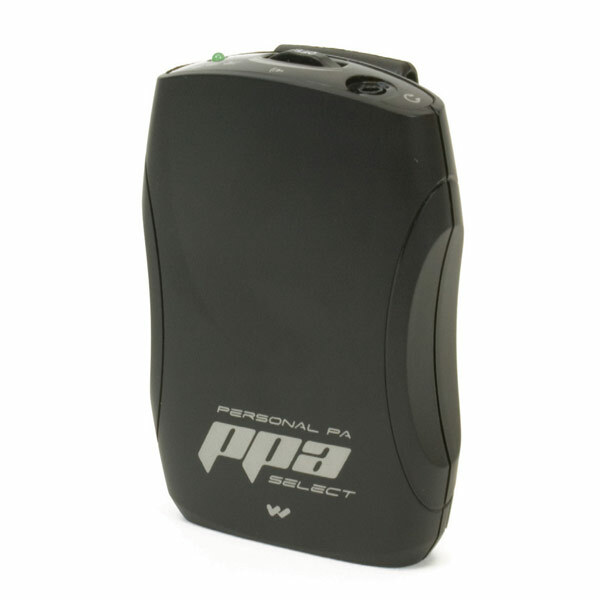 MaxiAids | Williams Sound PPA Select FM Receiver-Clip-Batt. Williams Sound PPA Select FM Receiver-Clip-Batt. The Williams Sound PPA Select FM Receiver (PPA R37) features easy to use push-button/seek channel selection with access to 17 pre-set wideband frequencies between 72-76 MHz. Digitally synthesized for even greater audio clarity and stability, the PPA Select also offers channel-lock capability (to prevent accidental channel change) and a battery-saving Sleep Mode. A versatile 3.5mm stereo/mono jack allows for a variety of earphone and headphone options, and is neckloop/telecoil-equipped-hearing aid compatible. It's great for use in churches, schools, auditoriums, conference rooms and theatres. Includes belt clip and 2 AA batteries.